Chairman of Petrolex Oil and Gas, Mr Segun Adebutu, has revealed plans by his firm to pump about $5 billion into the economy of Ogun State. Mr Adebutu made this disclosure at the just-concluded two-day Ogun State Investors Forum held in Abeokuta, the state capita. The Ogun State Investors Forum is a yearly gathering of investors, industry leaders, and policy makers to set the agenda for the next phase of industrialization in the state. This year, the two-day event was attended by the Vice President, Prof Yemi Osinbajo; the Minister of Finance, Mrs Kemi Adeosun; and the former president of Mexico, Mr Felippe Calderon. Over 1,000 key players in the industrial, agricultural and technological sectors registered their presence at the event. Speaking at the forum, the Petrolex boss hailed Ogun State as a front-burner in industrial development, including oil and gas. He also commended the governor, Mr Ibikunle Amosun, for the robust support provided during the construction of the Petrolex Mega Oil City at Ibefun, beginning in 2011, when he shared the plan. According to him, the Governor’s background in finance was useful, saying Mr Amosun gave Petrolex advice key to the success of the project. According to Mr Adebutu, he was elated when the first phase of the mega oil city, a 300 million-litre capacity tank farm was completed. “Many people thought an oil and gas hub in Ogun State was farfetched and impossible” Mr Adebutu said. “On December 12, 2017, I declared that Ogun state is now home to the largest tank farm in Sub-Saharan Africa. But that is just Phase 1 of the project,” he added. He said the next phase of the Petrolex Mega Oil City includes 250,000 barrels per day refinery, a lube plant, gas bottling plant, and a fertilizer plant. According to him, the project will gulp over $5 billion within the next 5 years and already, over $330 million has been invested. “This shows that Ogun-state is a front-burner in development, in everything, including oil and gas,” Mr Adebutu submitted. Also at the event, the Executive Secretary of Nigerian Investment Promotion Council (NIPC), Ms Yewande Sadiku, outlined NIPC’s ambitious plan to attract more investments to states. She praised Ogun State’s drive towards industrialization. “We should not underestimate what it takes to attract investors, and the fact that Ogun state has been so successful in attracting investors, especially in the area of manufacturing,” she said. Ms Sadiku pointed out that a total of N5.4 billion investment announcements have been made for Ogun State in petrol chemical, solid minerals, agriculture and manufacturing. 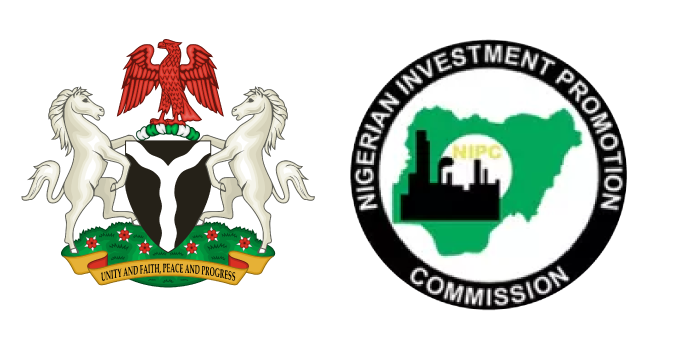 She implored the state government to provide the necessary infrastructure to ensure that the entire investment announcement made by NIPC become a reality. On his part, Commissioner for Commerce and Industry in Ogun State, Mr Bimbo Ashiru, urged investors to put their money in the state. According to him, in 2016, Nigeria mined 43.4 million tonnes of solid minerals in which Ogun State alone produced 16.3 million tonnes, representing 37.65 percent among the 36 states of the federation. He also noted that the state has the largest concentration of steel factories in the country and urged automobile industries to take advantage of this to establish their factories. “We have 12 industrial solid minerals available in the state. Ogun State is also one of the largest producers of cement in the country,” he said.